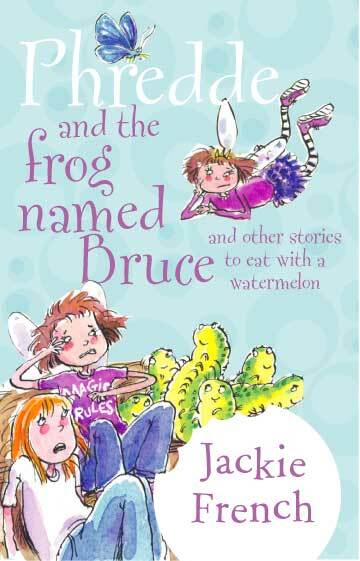 Spell-binding and spooky stories starring Phredde, a fractious but fun-loving phaery, Bruce, a mosquito-eating frog, and Pru, an everyday-normal school girl - except that she lives in a fairy castle, keeps pet piranhas, has a werewolf for a brother and a vampire for a teacher. There's a grey fleshed zombie librarian tending her blood starved books in the school library. There's a 5,000 year old Egyptian Mummy roaming the corridors ... not to mention giant slugs, the Snot Phaerie, pirahnas, a few werewolves, a boa constrictor and Dad's pet giant sloth. 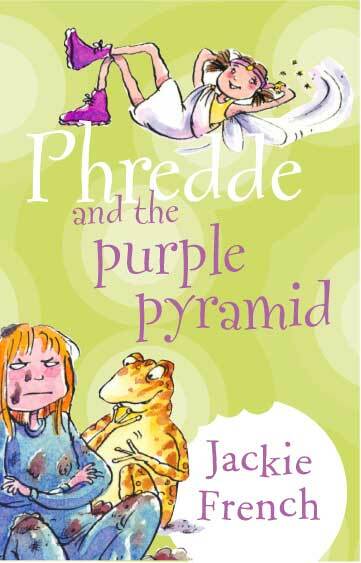 Can Phredde and Prudence escape? Well, of course they can, you ding dong. They appear in the next book too. But HOW do they escape? That's the question! 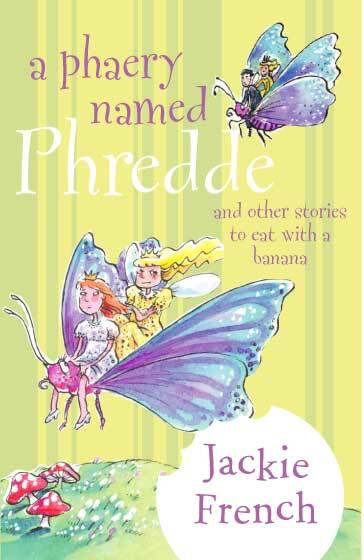 Another hilarious collection of TERRIFYING stories about a Phaerie named Phredde. Prudence. A normal school girl who lives in a magic castle and has a fairy, sorry, phaerie, as her best friend. Phredde. A 30 cm high phaerie, likes pink and silver joggers and rock music. Hates phaerie dances on the green and definitely does NOT want to marry a handsome prince when she grows up. Her real name is The Phaery Ethereal but it is NOT a good idea to mention this to Phredde. Bruce LIKES frogs. Also flies, the fatter the better, and mosquito pizza. In Pru's and Phredde's class at school. Mrs Olsen. Pru, Phredde and Bruce's teacher. Also a 400 year old vampire but don't worry, she and her family have a friendly arrangement with the abbatoir. Keeps her coffin with the art supplies. Mrs Allen. The school Principal. Can competently deal with ogres, dragons, squashed science blocks and computers with the flu, but has recently shown occasional signs of stress. Mark. Pru's older brother. Also a werewolf, inherited from his father's side of the family. Answers to 'Dog's Breath' but don't try it if you can't run fast. Pru's Dad. Loves everything South American, except possibly jaguars, pirhanas, boa constrictors and giant sloths. Pru's Mum. Loves crosswords, coffee and is just beginning to understand computers. Stresses about the least little thing, like vampires, ogres and going out in the sun without your hat and sunblock. Pru's Uncle Ron. Retired butcher. Also a werewolf. The Phaerie Valiant. Phredde's Dad. Prefers to be known as 'Jim'. The Phaerie Splendifera. Phredde's Mum. Also loves crosswords, honey dew nectar and racing magic carpets. 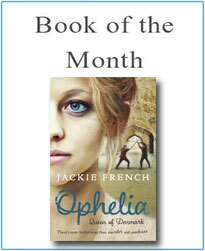 Has 'The Directory of Handsome Princes' on her bedside table. Amelia. In Pru's, Phredde's and Bruce's class at school. You don't really want to know anything more about her. A full length Phredde book!!!!!! (and even funnier than all the others). ... And a visit to Phaeryland which isn't as safe as Pru and Phredde and Bruce expect! PS And if a sweet little old Phaery ever asks you to come in and have a nibble of her lamington cottage... DON'T GO!